At a ceremony on Saturday, the newly named "Contrabands and Freedmen Cemetery Memorial" was dedicated to those buried in the Alexandria park. WASHINGTON — During the Civil War, African Americans fled slavery by making their way to Alexandria, Va., a union state. At the time, though, disease ran rampant throughout the area. Hundreds died during this widespread crisis. In all, 1,700 dead bodies — half of them women and children — were buried hastily at a cemetery known as the “Contrabands and Freedmen Cemetery.” Over the years, the grounds have been desecrated and forgotten about. 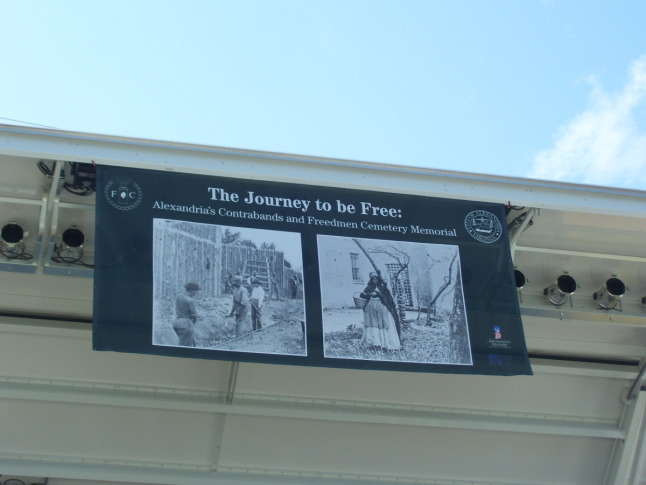 At a ceremony on Saturday, the newly named “Contrabands and Freedmen Cemetery Memorial” was dedicated to those buried in the historical Alexandria park. People like Caroline Branham, who was the personal maid of former First Lady Martha Washington. Hagerstown resident ZSun-ee Matema, a Branham descendant, was on hand to pay homage.